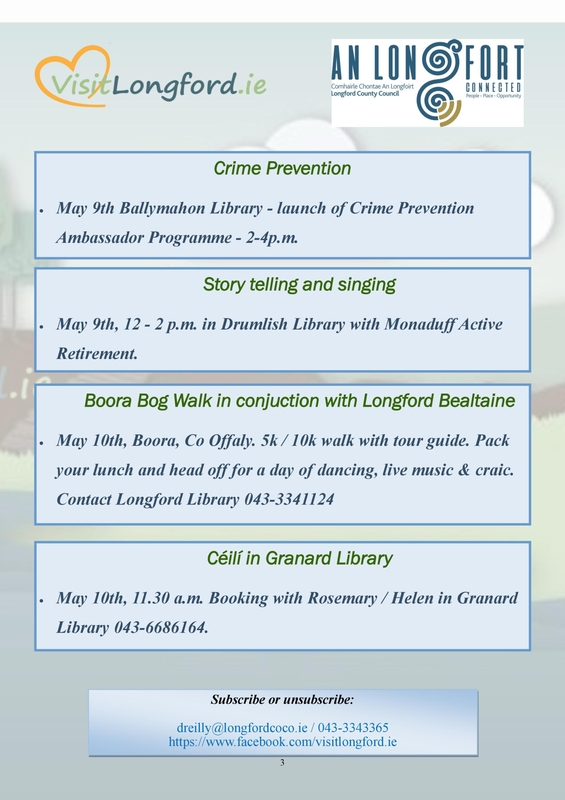 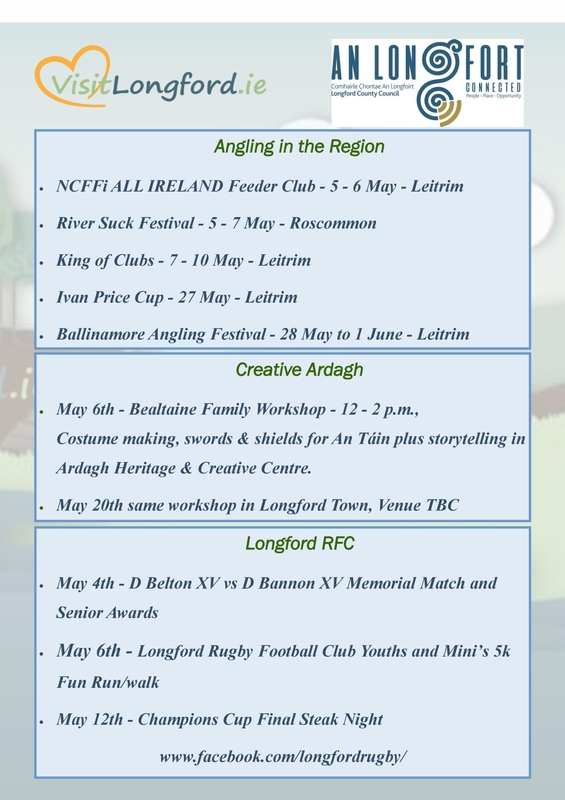 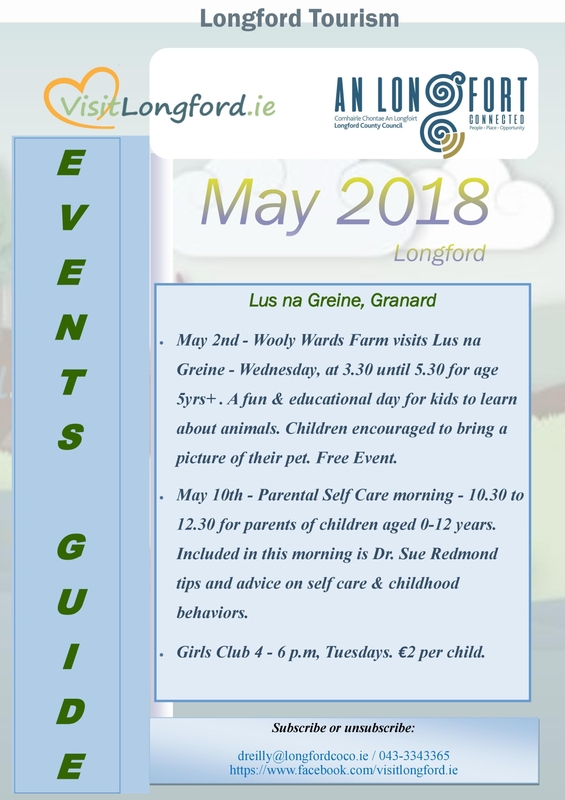 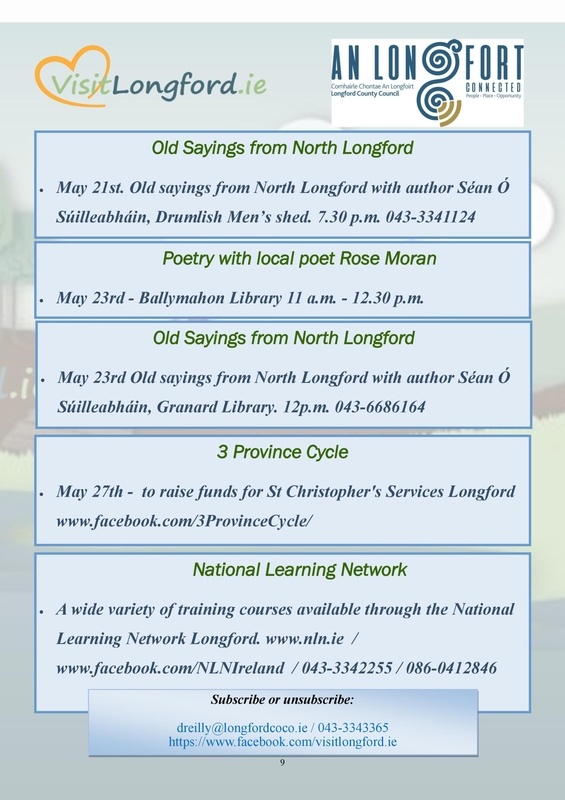 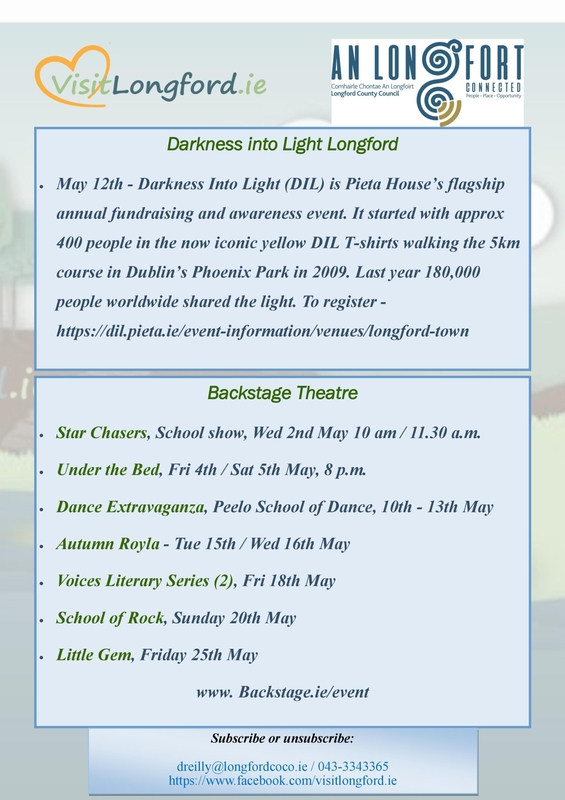 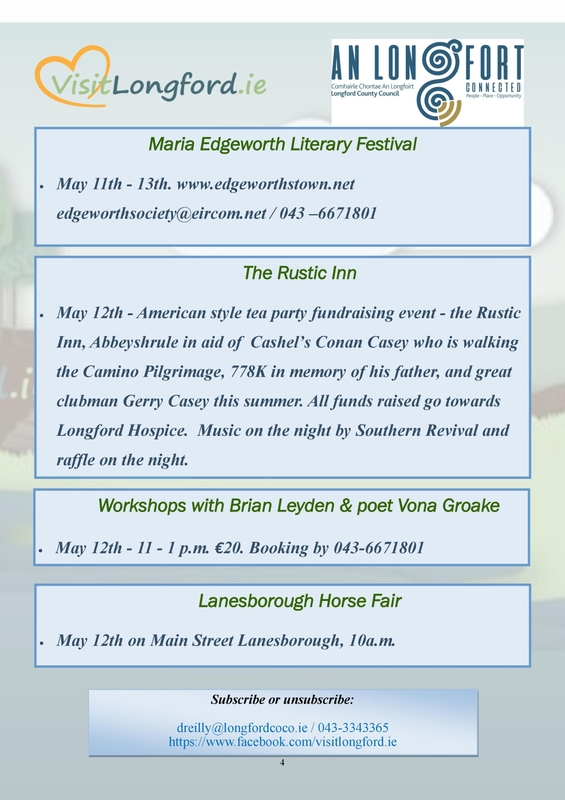 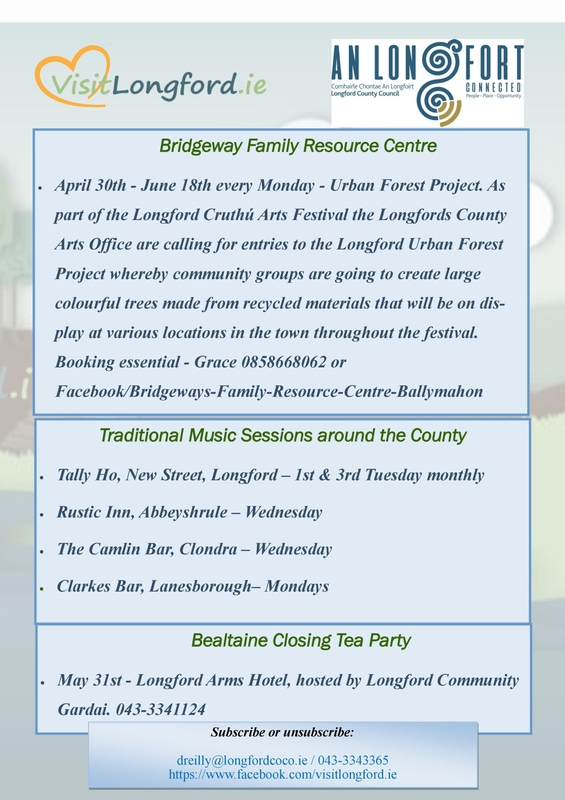 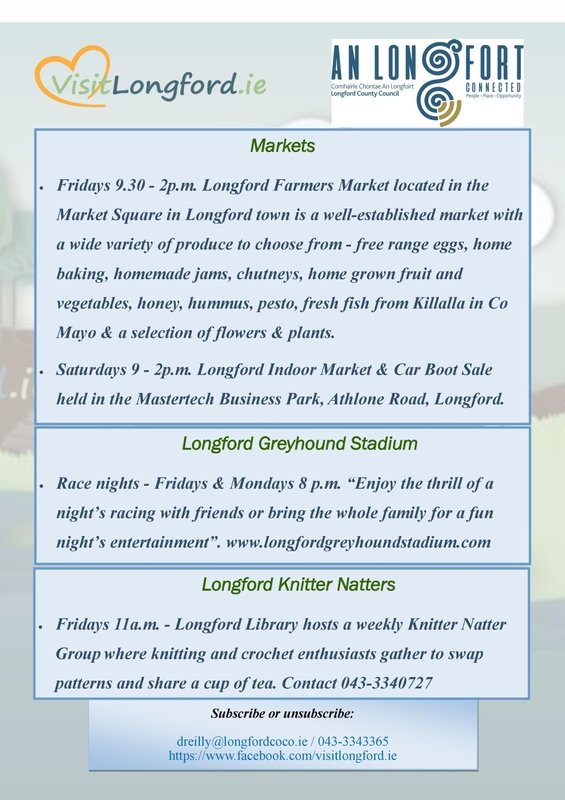 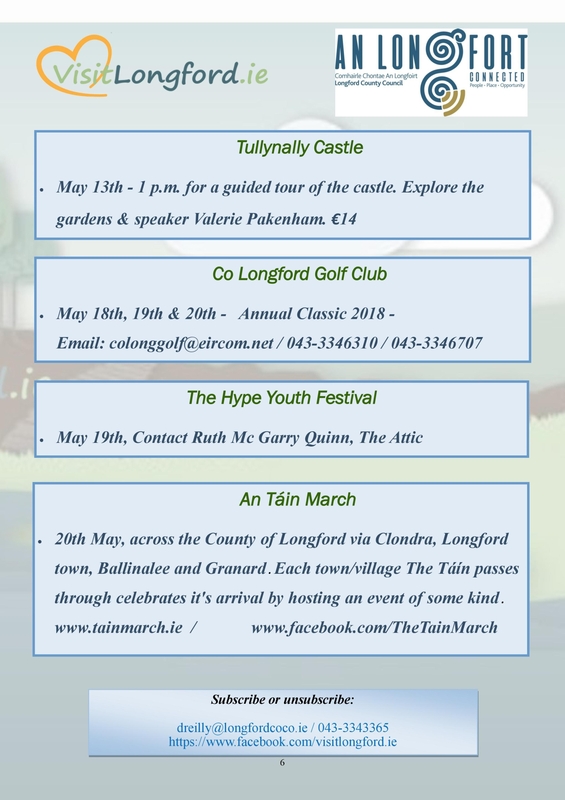 Recently appointed Longford Tourism Officer Dympna Reilly has compiled a comprehensive event guide for the month of May. 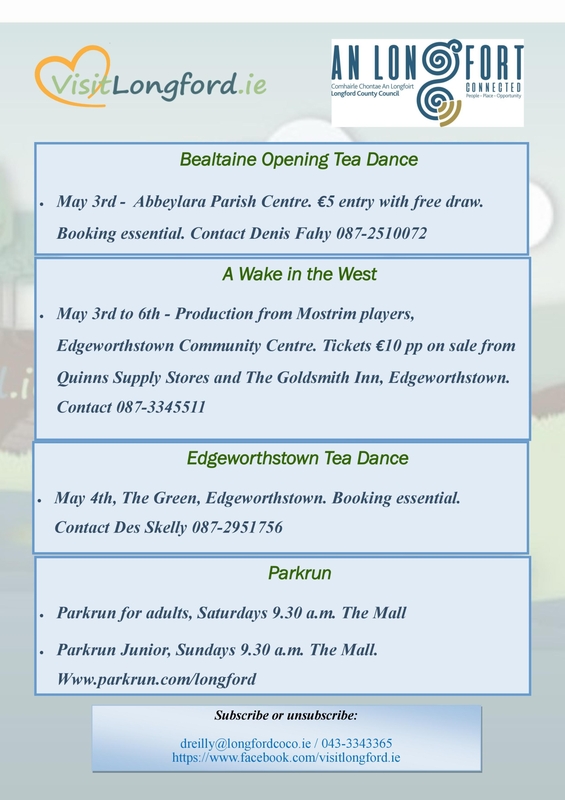 There are plenty of activities to enjoy. 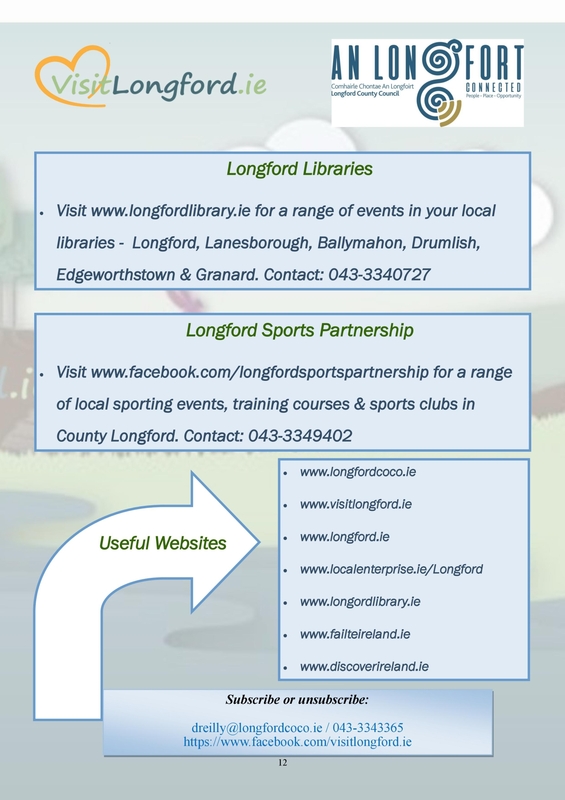 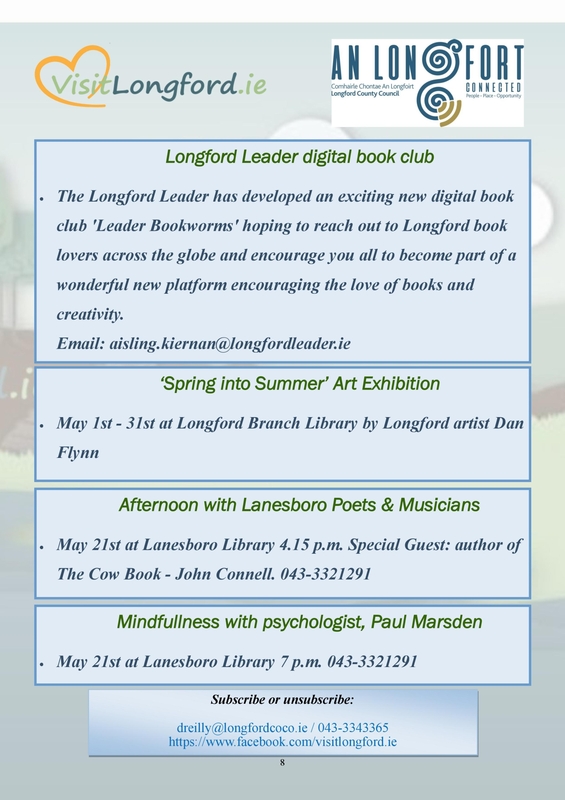 The VisitLongford.ie website is also live.